Rhode Island is a small state, but the potential for employment as a registered nurse is larger than you might think. Jobs in the healthcare field, and especially for nurses, has grown exponentially in recent years. Pair this with the fact that the Bureau of Labor Statistics reports a median salary of $76,410 a year for registered nurses in the state, and you'll see why registered nursing is an excellent career path. If you are looking to break into registered nursing, a good starting point is to consider an Associate's Degree in Nursing (ADN). This program is roughly 2 years in length, making it relatively quick to complete. ADN programs are also widely accessible, as they are typically offered at community and technical colleges throughout the state. There are a few schools in Rhode Island that offer ADN programs, so earning your associate's degree is a viable option. You'll want to ensure that the ADN program you choose is properly accredited, which basically means that an organization has thoroughly reviewed the curriculum and deemed it appropriate. Organizations like the Accreditation Commission for Education in Nursing (ACEN) and/or the American Association of Colleges of Nursing's Commission on Collegiate Nursing Education (CCNE) are a few to look for when checking a school's accreditations. You'll also want to be sure that your program has been accredited by the Rhode Island Board of Nursing. You become a registered nurse by receiving your license from the Rhode Island Board of Nursing after passing the National Council Licensure Examination (NCLEX). Therefore, you'll want to be sure that your school is recognized by the nursing board and also that the curriculum preps you to take (and hopefully pass) the NCLEX. The American Association of Colleges of Nursing reported that in 2015, 85.7% of new nurse grads that took the NCLEX in the state received their nursing license. The Community College of Rhode Island, located in Warwick, offers one of the state's fully accredited ADN programs. Many prospective students worry about paying for school. For an ADN program, you'll have the expense of tuition. You'll also have additional expenses including books and other extra fees, which may or may not be included in the cost of tuition. Your prospective school's admissions department should be able to break down these costs for you so that you can figure out what you'll need to budget for. As an example, tuition and fees for the ADN program at the New England Institute of Technology in East Greenwich, RI, will run you $27,000 per academic year. Many prospective nurses decide to pursue an ADN due to the shorter length of the program. At 2 years, an ADN takes half the time of a traditional 4-year bachelor's degree. Since ADN programs tend to be offered at junior colleges and/or technical schools, they are also often more accessible than 4 year programs, which are typically offered at larger universities. For a slightly longer time commitment, a Bachelor's of Science in Nursing (BSN) will offer plenty of reward. This 4-year advanced degree is commonly offered at large universities and state schools, and BSN graduates will have the opportunity to land more prestigious jobs in the nursing field. This also means that BSN grads have a greater earning potential. Some schools also offer an RN to BSN program for those who already hold a nursing license. There are approximately 4 schools in the state that offer a BSN degree. There are a few things to consider when looking into BSN programs. Aside from things like tuition cost, accreditation, location, and program outcomes, you'll also have to decide what type of BSN program works for your situation. Want a traditional BSN? Need an RN to BSN program? You'll want to fully vet any prospective schools to be sure that they offer a legitimate program that suits your unique needs. The University of Rhode Island is one school in the state offering an accredited BSN program. A traditional BSN program will take you 4 years from start to finish. In some instances, a school will offer an accelerated BSN program, which is usually available to those who already hold a bachelor's degree in another field. If you are already a registered nurse, the RN to BSN program can take roughly 2 years to complete, depending on the types of courses you have previously taken. Navigating tuition and fees can be one of the most stressful parts of starting a new academic program. You'll have to budget for the school's tuition, and this may or may not include required extras including textbooks, lab fees, and more. Room and board are also additional costs you'll have to factor in, if it applies to you. To get an idea of costs, tuition for the BSN program at Rhode Island College is estimated at $8,206 annually for in-state students. BSN programs are ideal for students who want the traditional 4-year college experience, and who want to enter into more advanced nursing careers with the potential for greater salaries. It's also great for those who already hold an ADN and want to further their careers. If options are what you want in a career, a BSN is a sure bet to a wide variety of nursing paths. To advance your nursing career even more, a Master's of Science in Nursing degree (MSN) is the next step. This advanced nursing degree can lead to jobs such as Clinical Nurse Specialist, Certified Nurse Midwife, and Nurse Practitioner, among others. Along with these high-level careers also comes top scale salaries. There are a few schools in Rhode Island that offer MSN degrees. An MSN program will last roughly 2-3 years, depending on the school and the type of class schedule you're able to take. The good news is that many MSN programs are designed to work around the busy schedule of a working RN, so they typically offer flexibility. Check with your school of choice to see if they offer things like online or evening courses. While MSN costs can vary depending on the school and program, you'll need to account for tuition fees along with any extra mandatory costs. Some schools roll extra fees into the tuition cost and some don't, so be sure to do your research when comparing programs. As an example, the estimated tuition fees for the MSN program at the University of Rhode Island are approximately $11,796 per year for in-state, full-time students. 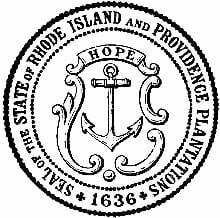 Rhode Island regulations for candidates seeking to obtain licensure by examination or endorsement must provide specific criteria. Colleges in Rhode Island are offering accelerated programs to nursing candidates that are looking to fast track their careers. Most of these programs can be finished within 12 to 18 months, but require full-time commitments, as they are on campus and have required clinical hours. Certain courses are required to be taken prior to admittance into the programs, which will add a bit of time onto the overall length. Tuition fees can vary because of the number of prerequisite courses needed and other various factors.